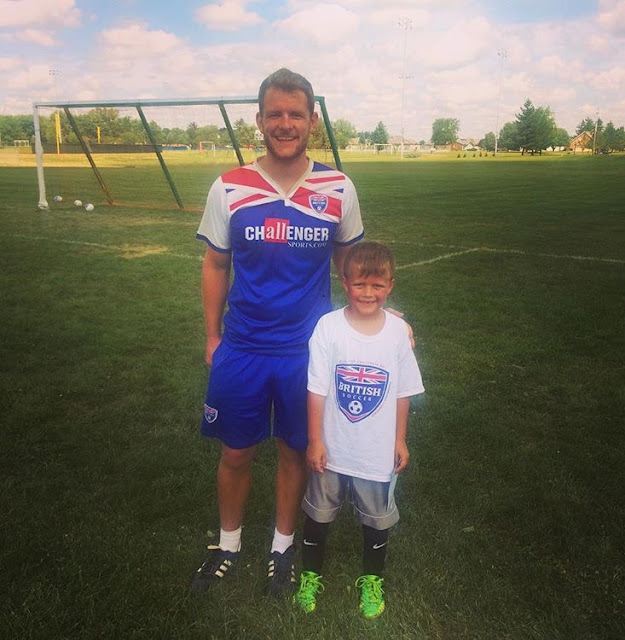 Last year Grady attended British Soccer Camp and LOVED it. British Soccer Camp is the most popular camp in North America having 150,000 campers! With an innovative curriculum that develops skills, speed and confidence in players ages 3-18, British Soccer Camps provide boys and girls with the rare opportunity to receive high-level soccer coaching from a team of international expert's right in the heart of your own community. 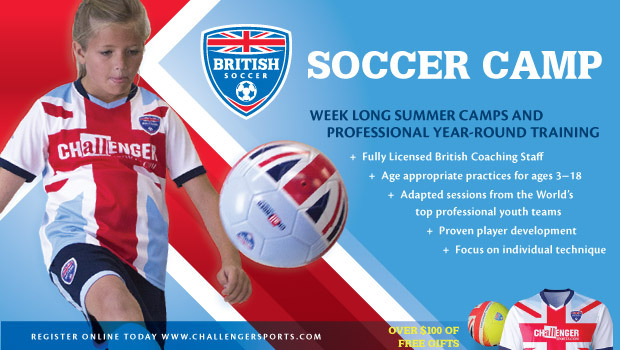 In addition to teaching new skills and improving game performance, each British Soccer Camp provides lessons on character development, cultural education and is the most fun your child can have learning the sport they love! Click HERE to find the camp nearest you! I can't recommend British Soccer Camp enough. Grady absolutely loved the camp, coaches and he learned so much while having a ton of fun. Jace didn't want to participate last year and sat on the sidelines with me watching his brother and this year he said he is 'definitely' doing it! Grady attended for a few hours each day for a week last summer and every day he was so excited to get up and go. The coaches are excellent with the kids. Of course they work on soccer skills, but they also play games, do fun activities, work in groups teaching integrity and most of all they just have fun. The coaches take time with the kids and make each one feel important. They are so encouraging while teaching the sport. Grady hated for the camp to be over, but loved the last day. They got to bring water balloons and squirt guns to drench their coaches with. They also got autographs on their t-shirts and soccer balls from the coaches and pictures with them as well. If your child loves soccer or simply wants to learn more about the sport this is a great opportunity for them to do so. Both boys are looking forward to attending this summer! Enroll your child in a British Soccer Camp near you today! Make sure you use the promo code: USFG16 when signing up to receive a free water bottle!